For the first time on lesarchitectures.com, and this is a great accomplishment, the post gets out on the same day the event happened! Well, about that you don’t care but you might be interested about this week-end Ideas City Festival. Part of this and organized by MAS and Architizer was Pitching the City, a cheerful event where 5 selected design projects competed. Each candidate had 5 minutes to present his/her design idea for the city. The public then decided what is the best idea, but also what is the best pitch. The moderator was from WNYC and the panel of experts, who asked a couple of questions at the end of each pitch, was composed of people from Control Group, Blue State Digital, OMA and StartUp box. This project is about connecting Brooklyn to Manhattan. With all the anticipated new housing construction on Brooklyn waterfront (namely SHoP’s Sugar Refinery project), the question of transportation will be more and more problematic. The East River Skyway brings cable cars across the river. As the speaker explains, you could enjoy quite a view from up there but the question about the aesthetic of the waterfront itself, with these giant piles and enormous infrastructure, is not raised. 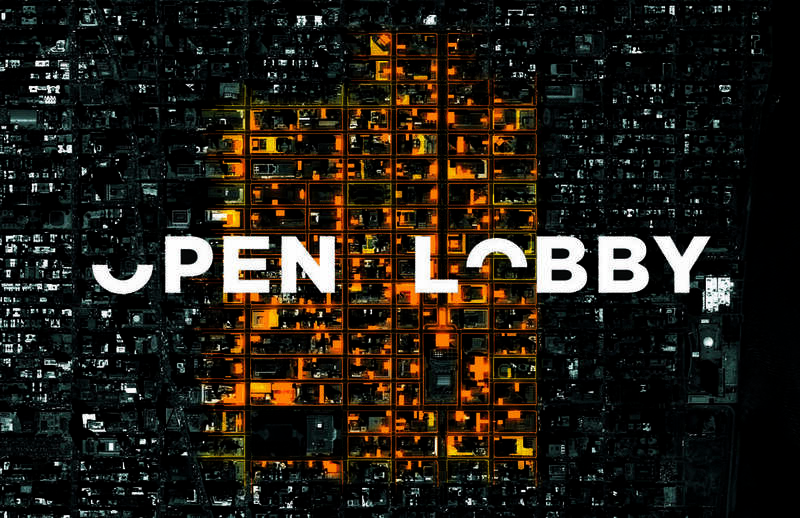 This very TED-like speech engages Manhattan building lobbies – that are empty, corporate and cold unused spaces – to transform them into co-working spaces. With simple modifications of the space, hall areas become actually used and active spaces. Here is the link for more information. 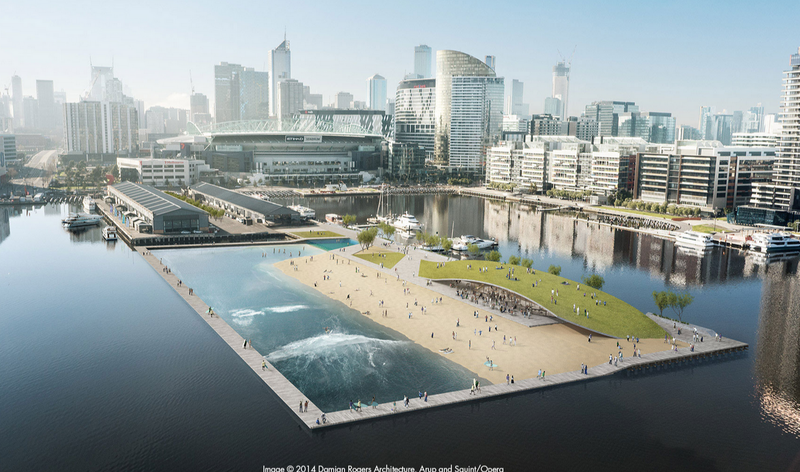 This Australian project wants to use the waterways of the now unused docks in the middle of the city of Melbourne, to build a recreation facility. Along with sandy beach and on a floating structure, you would be able to surf on artificial waves. The speaker is good, he calls out our imagination (“What if…”) but as a panelist pointed out: why is it necessarily about surfing? For this presentation, several people come on stage to literally read their speech (personally, this makes me automatically unable to listen) but their project is amazing. It is socially based, realistic and is an innovation in real-estate well established system. Basically, REIC is a crowd-fund that acquire and renovate properties in NY for cooperatives, local businesses, cultural and art organizations. It aims at solving the problem of property affordability collaboratively as opposed to individually. 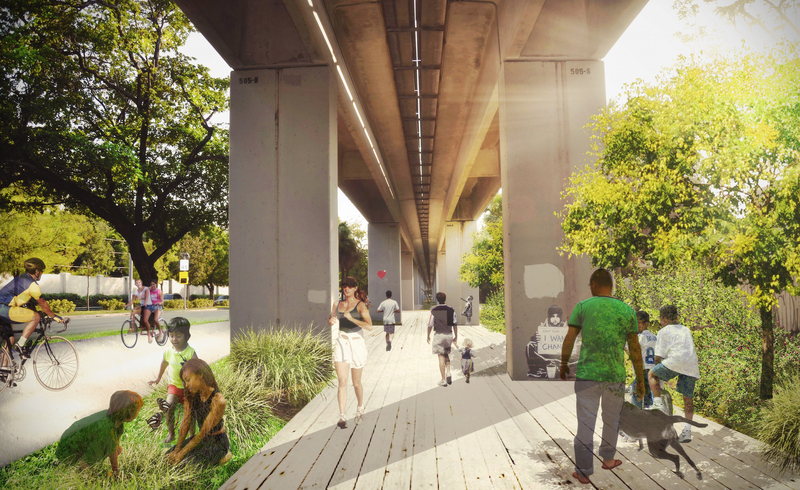 We all know this project, as it is very close to disused rails projects such as the High Line and the Bronx Greenway in NY, or la Coulée Verte in Paris. This time, the park is under the metrorail in Miami. The goal is not only to build a park but also to re-introduce walking and biking as a way of transportation. The talker looks like she knows what she is doing and for the 1st time tonight, the next steps of the project (a recurrent question from the panel) are clear and precise. Then comes the finals. Over an ice cream truck like music, we all send a text to vote on the best pitch, which is by the way a more precise count than the supposedly noise-sensitive machine of the Amateur Night at the Apollo! But here, it is not 10 000$ that are on play but a pitch at the MAS Summit this October. The tension is high as the last texts are lively displayed on the giant graph on the screen. And the winner by 1 vote is… The Underline! Don’t forget to check out the Ideas City Festival tomorrow, should be fun!